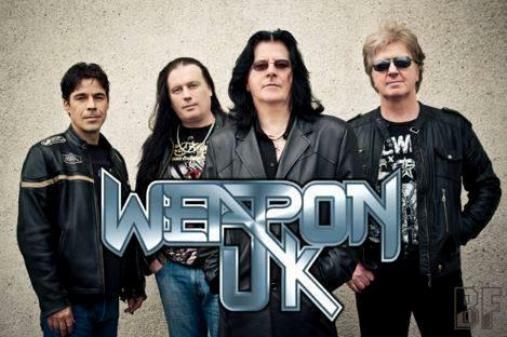 If you can remember back as far as 1980 then you might recall a band called Weapon! They were signed to Virgin and supported Motorhead on all 32 UK dates of the 'Aces Up Your Sleeve' tour. They released a single but like so many bands of the day, suffered the usual problems and broke up about eighteen months later. Fast forward all these years and the band have finally got round to releasing the very aptly entitled 'Rising From The Ashes'. Now called Weapon UK, due to registration issues they have only gone and released one of the best damn albums I've heard all year! This isn't just another NWOBHM band getting back together, there is plenty more to Weapon UK than that. This is a 'Classic Rock' gem, that recalls not just UK bands of that era but plenty of US bands as well. I love Metal and Rock from both countries but if you listen to the earlier stuff UK bands tended to record in a 4/4 time signature and US bands in 2/4. 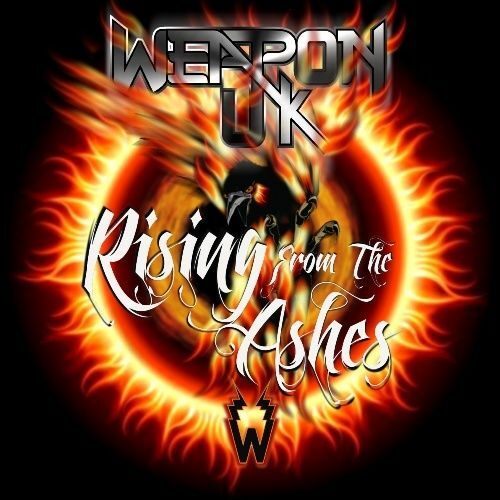 To some that may not make a whole lot of difference but it gave many US bands a more pronounced swing to the beat and that's what Weapon UK have achieved with this album! This is UK Metal played with US swing and it works a treat! Yes you can think Saxon, Tank, UFO, Def Leppard and Little Angels etc but it's all mixed in with plenty of Giant, Tyketto and Warrant, it's as catchy as Chlamydia and if it had been released in 1983 would have propelled Weapon UK to the stars! After intro 'The Awakening' fades then first track proper 'Ride The Moriah' knocks half your teeth out with its punch and precision and you're in for nearly fifty minutes of class that knock the rest out of your mouth! Several times throughout I'm reminded of Whitesnake/Coverdale Page ('Warrior'), Alcatrazz/Graham Bonnet ('Burning Skies') and even Boston at their rockiest ('Wonderland') If you add those names to the ones already mentioned then you'll know I'm damned well enjoying this. There are a great mix of uptempo and slower songs and the whole thing has been brilliantly engineered by Robbie Coma of Scream Studios in London and mixed by Andy Reilly of Muse Studios in Atlanta, Georgia. It might have taken Weapon UK thirty three years to get to this point but hell it's been worth the wait. 2014 has seen some fantastic releases but 'Rising From The Ashes' is right up there with the best! Welcome back!